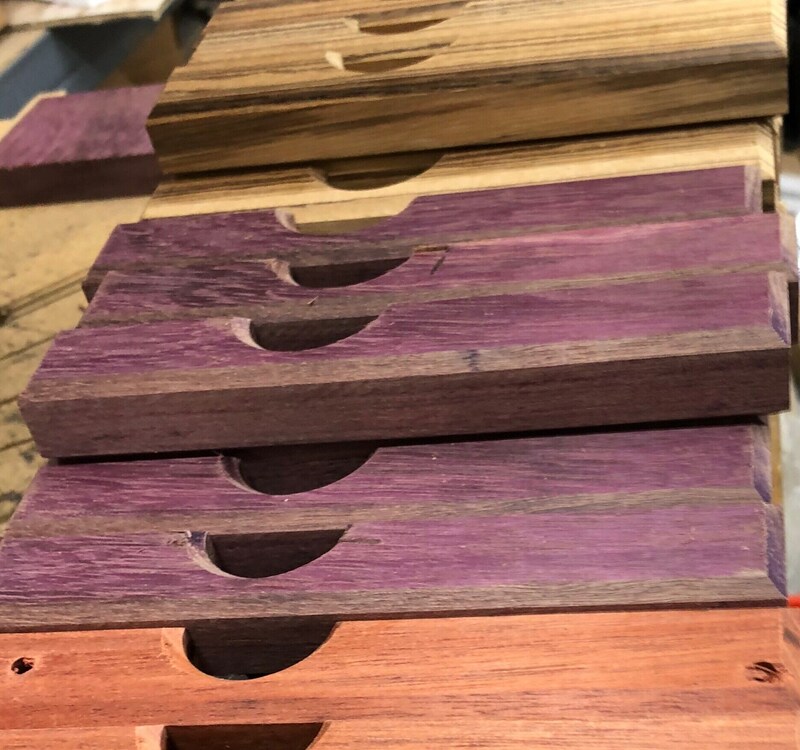 These openers are made from Purpleheart wood and feature black hardware. This Rare Earth version of the opener includes a built in wax-cutter for the whalez you plan on opening with your buddies. It also has a convenient leather strap. Love it!!! Can’t wait to give my boyfriend his gift. Seller was great about personalizing it for me and keeping me updated! These are so cool. Just what I needed. It was so easy to work with them and customize exactly what I wanted. The quality of the wood is great (nice and heavy) and the personalization is deep in the wood where it won't rub off. These are gorgeous. Thanks again! Mine was more burgundy than purple, but it works wonderfully.